Amidst global market downturn, the performance of our model portfolios improved during March – May period. When the Jakarta Composite Index (JCI) plunged 6.19% in March, the worst since November 2016 (-5.05%), our model portfolios took lesser hit. 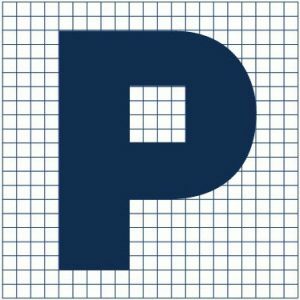 The Dividend Focused model portfolio fell 3.06% and the Low Volatility Equity (LOVE) model portfolio was only down 2.02%. In April, the JCI (-3.14%) continued to be battered by foreigners’ massive sell-off but the Dividend Focused model portfolio edged up 0.47% while the LOVE model portfolio advanced almost 2%. And finally when the selling pressure started to abate in May, the JCI slipped 0.18% but the Dividend Focused model portfolio rose 1.95% and the LOVE model portfolio jumped 6.2%. Year-to-Date, the JCI still nourished its wound by down 5.86% and the MSCI Indonesia took a nosedive and fell 13.84%. The Dividend Focused model portfolio grew 4.06% and the LOVE model portfolio soared 11.21%. The Dividend Focused model portfolio generated 1.72% return during March-May 2018. 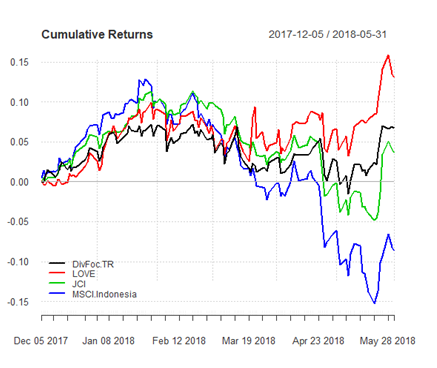 Since its inception (December 2017), it advanced 7.16%, outperforming the broader market index, the JCI (Jakarta Composite Index) which was barely changed (+0.53%), creating an excess return of 6.63%. December 2017 was the best month with 4% return while the worst performance (-3%) was registered in March 2018.